Girl meets boy. Boy loves girl. Well actually, girl finds the boy’s dead mother in a lake first. This isn’t your typical love story with a slice of grief. Deb Caletti hits all the targets for a melancholy teen romance without being redundant. Depression? Yup, but it’s done convincingly and without damaging inaccuracies. Secrets? Oh yeah. Big ones. Internal and external obstacles in our couple’s way? The aforementioned deceased mother. 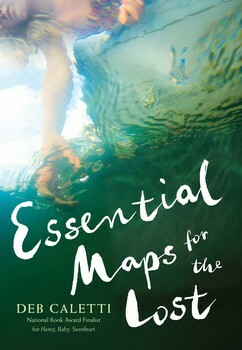 Essential Maps does all the things that this kind of novel should do well with aplomb and style. For this, Caletti has earned three starred reviews. Every year I beat the drum for straight-up romance to be taken seriously when it comes to awards (and occasionally, I get my wish). Although I probably won’t set my cap at this “prince” for the Printz, it has many praise- and noteworthy qualities.